AdvanceTrac with RSC is available on E-350 Wagons with the 5.4L Triton V8 only. Available on Commercial Van with 60/40 split side cargo doors. 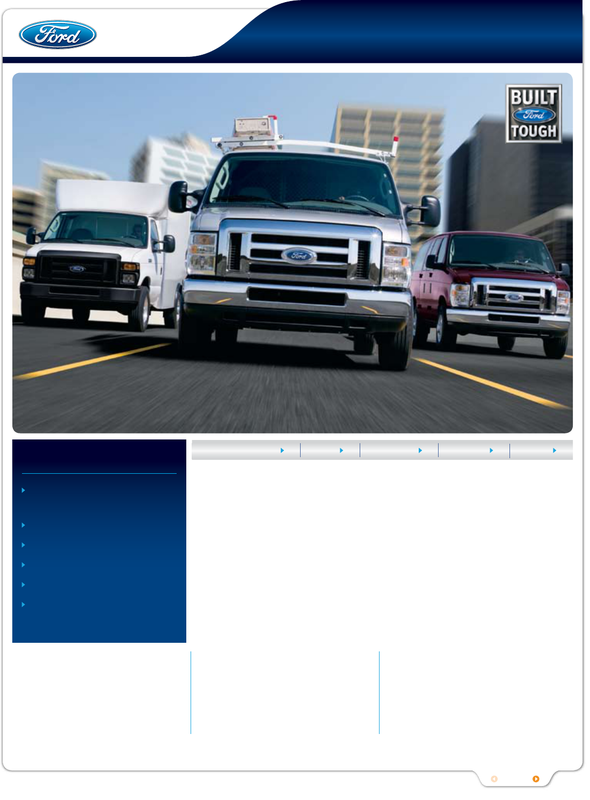 Comparison of properly equipped E-150 to 1500 Series Full-Size Vans. The Only Standard Cargo Van V8 in the Class. Up to 10,000 lbs. Cutaway Towing.